War of Indines is a base box for BattleCON, the card game system that recreates fighting games like Street Fighter or Guilty Gear. In BattleCON, players must outwit their opponents by playing combinations of attack and movement cards at the right time; play the wrong ones and you might take massive damage - but a clever outplay at the right moment could bring you right back into contention - and watch those cooldowns! War of Indines comes with 18 characters, each with their own unique movesets: from a fire elemental to an ocean guardian and her panda familiar, from a space-bending trapper to a shadowy assassin. 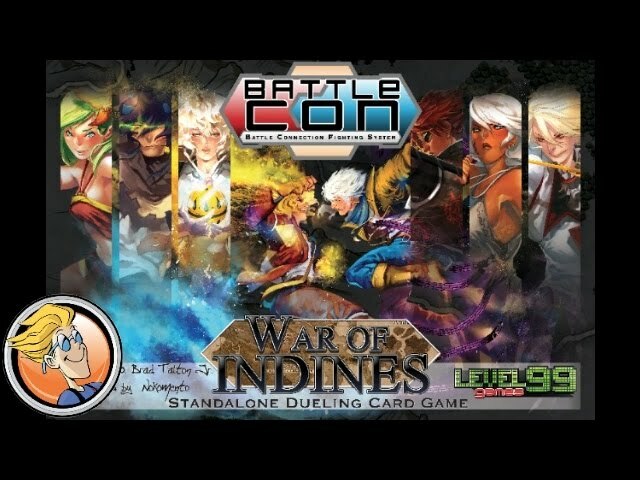 Fully compatible with all other BattleCON games - buy War of Indines to get in on the fast paced action.